In 2011, lost-time hours due to injuries at Southlake Residential Care Village added up to nearly the equivalent of a full-time position. Managers at this long-term care home in Newmarket, Ont., which employs 300, say that number is now down to just a few days a year. They credit this improvement to Southlake’s involvement in a participatory ergonomics study jointly conducted by the Institute for Work & Health (IWH) and Public Services Health and Safety Association. And, as they recounted in an At Work article, a new safety culture has endured ever since. People with disabilities face tremendous difficulty accessing the labour market. And for those who do, it’s more common to be exposed to hazards at work than for people without disabilities. That’s according to a new IWH study, which found higher levels of vulnerability to risk of work injury among workers with disabilities. A Research Highlight, which sums up the study findings, is now online. 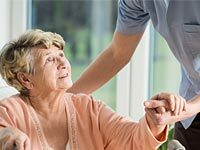 What can we learn from safe resident handling programs in U.S. nursing homes? As in Canada, health-care workers in the United States have among the highest rates of work-related injuries, in large part due to patient handling. 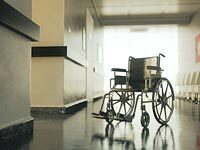 The solution goes beyond new patient-lift equipment. Workplace policies and practices have to change, as well. 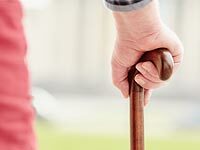 In an ambitious study spanning 10 years, a research team at the Center for the Promotion of Health in the New England Workplace probed for the factors that support safe patient-lift practices in U.S. nursing homes. Findings from multiple phases of the project were recently shared at an IWH plenary, now available as a slidecast. 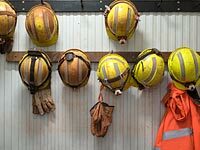 Miners may be exposed to hazardous substances as part of their job, putting them at increased risk of long-term health effects, including lung cancer. A conference held this month by the Occupational Cancer Research Centre (OCRC), MIRARCO Mining Innovation and Laurentian University focused on diesel engine exhaust and radon gas—and the steps that can be taken to prevent future cancers among miners. Fact sheets from that conference are now available on the OCRC website. What are you handling–large and heavy loads or light and frequent ones? Baggage or packages, linen or auto parts, sheet metal or produce? On October 2, come learn about manual materials handling (MMH) programs that minimize the risk of injury. Current research on MMH for musculoskeletal health will be presented. Case studies from different sectors will highlight implementation strategies and successful interventions for the prevention of musculoskeletal disorders. This conference is offered by the Centre of Research Expertise for the Prevention of Musculoskeletal Disorders (CRE-MSD), in collaboration with many system partners.